Your auto’s exhaust system has many functions: to diminish engine clamour, decrease pollution, enhance performance, drive fuel economy and direct toxic gasses far from the auto and the people inside. It’s imperative to ensure you keep your exhaust system in extraordinary condition as replacing it can be exorbitant. 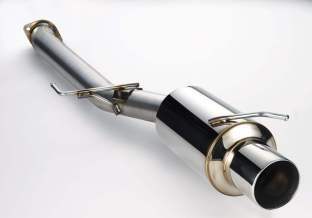 Key segments of your exhaust system incorporate the manifold, catalytic convertor, mufflers and pipes. These components must be in great operational condition to ensure your vehicle runs and works safely and adequately. Most exhaust systems today use bolt-on bolt-off components so repairs can now be performed securely and quickly by experts at AFM Car Repairs. At AFM Car Repairs we can identify problems and replace mufflers and catalytic converters, leading to reduced emissions and noise while driving. Our experienced team can give you quality advice and a great range of services at affordable prices, so call the team at AFM.